Volvo Penta 2003 28hp 3 Cylinder Heat Exchanger Cooled Marine Diesel Engine Complete With DB Hex Modified Volvo Penta MS2 Transmission, Control Panel and Wiring Loom. 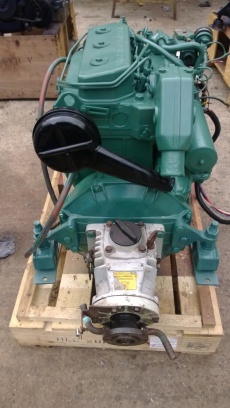 Also fitted with a costly Balmar high output alternator. Removed from a sailing yacht undergoing a major refit. The engine has been test run, started well from cold and ran without any noticeable problems. 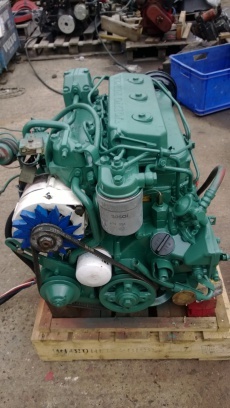 The engine has been cleaned and re-sprayed in Volvo Penta green and is now ready to go back to work.